The reception is one of the most fun parts of the entire weekend. Couples look forward to this event the most. They get to finally let loose and party with friends and family. You have to set the right tone for the night. If you are excited and energized then people will feed off that energy and do the same. Your Siblings along with their kids entrance plays a big role in the vibe for the night. There a number of ways the Siblings along with their kids can make their entrance by coming in dancing and singing the words, some have choreographed moves, and some come in smiling and waving. Whatever your preference, pick a song that is upbeat and the crowd can clap along too. 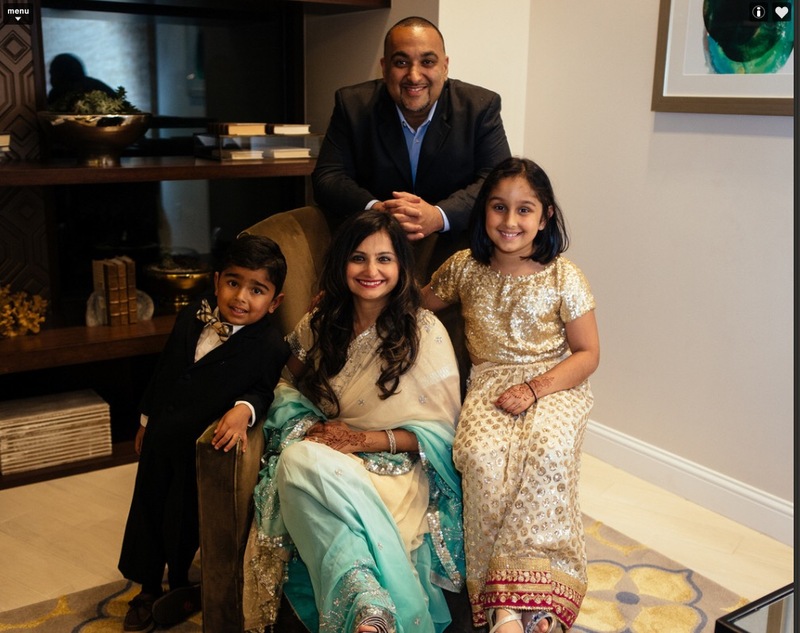 Most of the time the Siblings with kids are choosing American songs for their entrance, but we wanted to give you a mix of Indian and American songs for their entrance. We have seen many weddings where the siblings with their kids either use these songs or consider using these songs. The following Top 11 Indian Wedding Reception Siblings Married with Kids Entrance Songs are ranked based on what we have seen used most often within the last few years. The Top 11 Indian Wedding Reception Siblings Married with Kids Entrance Songs begins with every kids' favorite song, Uptown Funk! Bruno Mars is like the modern day Michael Jackson with his pop style music. With almost three and a half billion views you can see why this is number one on this blog. Fill out the form on this page and we will send you an email with all these songs on a playlist. If you need instrumental music for a brides ceremony entrance, check out our blog. Another fun sing along song that kids and parents alike enjoy hearing and dancing to is Happy by Pharrell Williams. This song was used in the Despicable Me 2 movie's soundtrack. You know every kid has seen this hilarious movie; so why not use a great song for your entrance into the reception. This song just makes us want to get up, smile, and dance carefree. Fill out the form on this page and we will send you an email with all these songs on a playlist. If you need a song for a brides ceremony entrance, check out our blog. A fan favorite song from the movie Madagascar. This song is from 2012, a little outdated but still a great party starter and kids love the high energy tempo. The Top 11 Indian Wedding Reception Siblings Married with Kids Entrance Songs list wouldn't be complete without this fun song. If you need a DJ for your wedding that knows music and will take care of, contact us here. Here's the first Bollywood song to make the Top 11 Indian Wedding Reception Siblings Married with Kids Entrance Songs list. Since it's release in 2013, you've seen people perform to this, use this for an entrance, and even heard it during the open dance floor. With it's catchy lyrics and the dance moves you can mimic everyone will love seeing this as the entrance for any siblings of yours with the kiddos. Fill out the form on this page and we will send you an email with all these songs on a playlist. If you need song for a grooms ceremony entrance, check out our blog. The fifth spot on the Top 11 Indian Wedding Reception Siblings Married with Kids Entrance Songs list goes to the one hit wonder Silento for the famous Watch me Whip song. Kids these days are teaching their parents all these new internet sensation dance moves and it's great to get the energy up at the reception for their entrance. It's a fun song that everyone can enjoy jamming to. Fill out the form on this page and we will send you an email with all these songs on a playlist. If you need a song for your single sister's reception entrance, check out this blog. The oldest song on this blog series takes the sixth spot on the Top 11 Indian Wedding Reception Siblings Married with Kids Entrance Songs list. The Black Eyed Peas always make fun songs for all ages to enjoy. What better way to start a reception than with a song that says "Let's Get It Started!" If you want to come in singing and dancing, this will be a contender. If you still need a DJ the knows music and will make sure everyone has a great time, contact us here. Your siblings along with their kids will love this track for sure. It's a great song your siblings will love since it's Bollywood and as well as their kids will love it since it's a happy go lucky type of song where you can dance carefree to. This is one of the most popular wedding songs of the decade. Almost every wedding has either used this for a performance, entrances, or on the open dance floor. Fill out the form on this page and we will send you an email with all these songs on a playlist. If you need a bridal party entrance song for your wedding, check out our blog. This is one of the newer songs to make this blog list. Let the hearts fly high in the sky and have fun with your entrance. Also keep in mind, that the best parts of songs should get played for the entrance. This is usually not at the beginning of the track. A good DJ will know where to start and end songs for entrances. Fill out the form on this page and we will send you an email with all these songs on a playlist. If you need a song for your parent's reception entrance, check out this blog. Entrance songs got you nervous? Just Shake It Off! Shake off the jitters and nervousness and come in to the ballroom with a bang! When the chorus hits on this song everyone immediately knows to start shaking. With almost three billion views this track is a favorite for most kids. If you need a song for your single brother's reception entrance, look no further. Any track that has holi in its' video you know it will be a hit. In this modern age of taking selfies here's a song you can't deny using. Along with dancing your way in to the reception ballroom, pull out your phone and take a selfie when the chorus drops. Also keep in mind, that the best parts of songs should get played for entrance. This is usually not at the beginning of the track. A good DJ will know where to start and end songs for entrances. Fill out the form on this page and we will send you an email with all these songs on a playlist. If you need a wedding planner, check out our blog. The Top 11 Indian Wedding Reception Siblings Married with Kids Entrance Songs list ends with a throwback track from 2009. What's a dance move everyone knows how to do? Just Twist! This song has a lot of energy and has a fantastic feel to it when you hear it at full volume. It may be last on this list, but definitely can be a great way to make an entrance for your siblings and their kids. Fill out the form on this page and we will send you an email with all these songs on a playlist. If you still need a photographer, check out our blog. A wedding is the happiest moment in your life and you should choose music that you love. Over our 25 years of bringing joy to thousands of couples, the DJ Riz Entertainment team has helped many couples find the songs that help them create memories for a lifetime. The Top 11 Indian Wedding Reception Siblings Married with Kids Entrance Songs list was made to help busy couples that don't have time to find the best music for their big wedding weekend. If you or a friend needs an Indian wedding DJ that will take the time to understand what you need and help make your wedding weekend perfect, contact us here for more information on our services.